Seasoned writer and poet Brian Kenneth Swain knows that some seeds take longer to germinate than others. After entering a new phase of life several years ago, Swain began writing free verse that not only explored the meaning in real-life experiences, but also in the wacky and unorthodox. Swain shares truths he has stumbled upon during a unique journey from yesterday to now. In his third compilation of poetry, Swain reflects on a wide range of topics that include nature’s beauty and creatures, a confusing SAT question, the day in the life of a stone mason, the sweetness of watermelon pickles, and the morning after a party, hoping his verse ultimately sparks a younger generation to enthusiastically embrace imagery, inspiration, and lyricism. 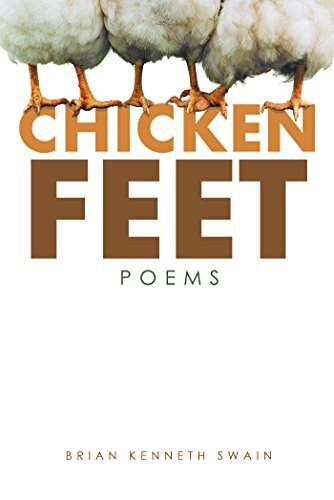 Chicken Feet shares a compilation of free verse by a seasoned poet whose observations elegantly reflect on the ever-changing world around him.